At least 14 beautiful ladies will this Sunday, 17th November 2013 after seven days in the camp will be contesting for the Miss Blossom Beauty Pageant winner for 2013 in the Garden city of Port Harcourt, Nigeria. This is the third edition of the beauty show and every year it is an expression of quality, taste and brain, hidden talents exposed to a wider audience and their talents discovered, nurtured and empowered for greater height. The President of Messy Ms Mysteries Nigeria Limited, organizers of the pageant, Rev. Tammy Abusi is enthusiastic about the whole event which has become the hallmark of her life – giving hope and dignity to women who are less privileged in society and turning them into worthy queens and ambassadors of Jesus Christ. 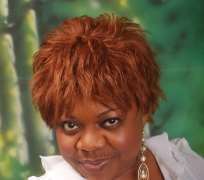 According to her during this interview with the Nigerianvoice.com; the motivation is from her belief in Jesus Christ that all human beings had been created with potentials but some do not have the opportunity to exploit or have it discovered. This beauty pageant is providing these ladies that opportunity to discover themselves and realize the hidden gifts in them. As I made this interview, the contestants were putting finishing touches to their preparation and the young ladies are full of excitement and looking forward. Tickets are already on sales for the night and the Marketing Manager told us that they have limited space you have to e-mail or check on their face book page to confirm a seat or you may not have a place to seat at the event. Rev. Abusis goal with this Miss Blossom beauty pageant is to redefine what beauty is all about – beauty is not just facial appearance with make ups or make overs rather it is an inner beauty which many times is not expressed on the outside. Therefore she started her organization to re-orientate and direct the passion of the girls to suit Christendom where beauty pageant actually started with Queen Esther in the Bible. She stressed that if the girls are taken away from the streets and properly tutored or re-orientated, they will become great assets to the society. “This is why the organisation helps them to discover themselves and becoming what God has destined for them,” she said. These young ladies stand to win very attractive prizes including contracts to be trained in specific business ventures and skills, home making tips, monthly allowances, exciting cash prizes, TV host for one year, free career development model portfolio for top contestants among others. Rev. Abusi, also disclosed that one of the major sponsors, The Voice magazine in the Netherlands will be giving the winner a VIP ticket, fully paid return visit to the Netherlands as The Voice Goodwill Ambassador for 2014 the Voice Achievers Award in Almere, The Netherlands. The publisher, Pastor Elvis Iruh will personally be attending the show to give his support and blessing to the Miss Blossom pageant.